A joint press release with the Baltimore police and State’s Attorney was called to announce the indictments of 9 men and women in a West Baltimore drug conspiracy. The area, which includes several blocks of Ruxton Avenue is one of the most violent in the city, and the state for that matter, as over 60 incidents of violent crime have been reported there in the past 3 years. Police attribute much of the violence to an organized drug ring that according to the department has held the neighborhood hostage. In an effort to end this violence, cops and the state’s attorney initiated a five-week investigation focused on bringing the alleged drug dealers to justice. All but four of the nine suspects have been arrested, and their names were announced at the press conference. The other four have yet to be arrested, and as a result their indictments are still under seal. Law enforcement officers were not able to connect the suspects to any incidents of violence in this particular investigation. Rather, the indictments only consist of drug distribution and possession charges. The State’s Attorney’s Office is on record stating that they will pursue drug conspiracy charges as well, in order to enhance the maximum penalties that the suspects will face in court. This is a common tactic used in federal cases, but state jurisdictions are usually too bogged down to pursue these more complex charges. But the City State’s Attorney is sending the message that like the feds, they too can play hardball. Depending on the type of drugs involved, each of the defendants will likely face over ten years jail time in their respective cases. Distribution of marijuana carries a maximum five-year sentence, but most other drugs, including heroin, carry a 20-year maximum sentence. In addition, there may be minimum mandatory sentences for the defendants with prior convictions. Conspiracy charges will add a significant time to any prospective sentences as well, which is the motivation of the State’s Attorney’s Office in order to achieve its goal of keeping these nine individuals off the street. It will be interesting to see if prosecutors handle these cases in the same manner as the United State’s Attorneys. Typically the feds extend the most lenient plea offer to the first defendants who agree to testify against his or her co-conspirators. Defendants who strike these deals are often placed in witness protection, many times for life. Multi codefendant cases are not as common in the state court system, and prosecutors and judges are simply not as versed in handling them. In addition, prosecutors may find it extremely difficult to convince any of the defendants to agree to turn state’s evidence. Baltimore City is notorious for its view of those who agree to testify as state’s witnesses. The term snitch became a part of pop culture after its portrayal in the highly popular show The Wire. Snitching as it is called is especially rare when the codefendants are part of a violent street gang. The Blog will follow these nine cases as they travel through the district and circuit courts, and may post another article if need be. For now though these cases are in the hands of the lawyers. 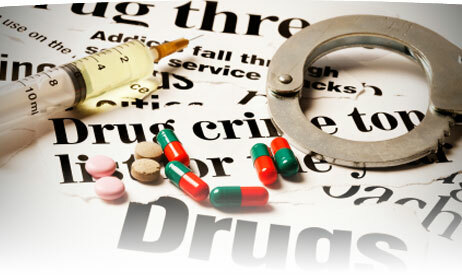 Benjamin Herbst is a drug crimes lawyer representing defendants in all Maryland state and federal jurisdictions. Contact Benjamin at 410-207-2598 for a free consultation.